kn ow what to do – and just as important, what not to do. At PotlatchDeltic, we are committed to making the purchase process as simple and painless as possible. Every step of the way, our goal is for you to buy the best property for your needs, whether you want to hunt, hike, camp, build a home, or just relax. Not thinking you can buy what you want within your budget. Always keep your end goal in mind: buying a property that will be a great fit for you and your family. As you set your budget, know that you get what you pay for. Understand that different properties carry different values. After all, what’s the use of paying a little less if the property isn’t right for you and you don’t use your new property regularly? As you begin the land buying process, you’ll find a lot of opportunities at every budget price point in the market. At PotlatchDeltic, we have great properties in current inventory from $40,000 and up – not much more than the cost of a new car. 2. Not thinking about how you will use the property. How many people will be hunting on the property at a time? Or,how many animals do you expect to harvest each year? That could determine how many acres you should buy. What do you want to hunt? The answer to that will help you choose location as well as property characteristics that match your wildlife preferences. Do you want quality deer on the property? If so, you’ll need to be hyper-focused on the availability of good food and water sources, or how easy it would be to cultivate the right food and bedding sources on the property. 3. Not working with a reputable, experienced recreational land expert. There simply isn’t a substitute for leveraging the knowledge of a land sales expert who focuses on selling recreational properties. The professionals in our PotlatchDeltic Preferred Broker team are good examples of this type of expert. They have deep experience in selling rural property and maintain their expertise with on-going training and certifications. They can help you figure out everything from assessing the recreational potential of a property to making sure it has proper access and clear title, and will insure the closing of the purchase goes smoothly. 4. Not understanding all the factors that go into the sales price, such as timber value, location, and a property’s specific attributes. Again, it’s important to work with a land expert who knows how to account for everything that establishes the right value for the property, and ultimately your offer. A land expert will walk you through the contributing factors and help you ask the right questions. Is the location appealing? Does the property have the potential to have quality wildlife? What do comparable sales of similar recreational properties look like in the surrounding area? And what is the maturity and marketability of the timber on the property? Warren Buffett summed it up well: Price is what you pay. Value is what you get. 5. Not realizing that land can be a solid investment, based on historical returns. Many people with investment goals are looking to buy land as a hedge against stock market volatility. Land investments have performed well historically when measured against inflation, and provide a way for investors to diversify their holdings. While past performance isn’t necessarily an indicator for future returns, demand for timber remains strong as a function of the healthy market for lumber. At the same time, there’s growing demand for recreational properties as more people look for a place for their family and friends to have a retreat of their own. And, an added benefit is that you get to use this investment! “It’s hard for many recreational land buyers to know the ins and outs of a smart purchase,” says Mark Bice, who manages real estate activities for PotlatchDeltic in the Southeast. “It simply makes sense to get peace of mind by working with one of the experts on the PotlatchDeltic Preferred Broker team. 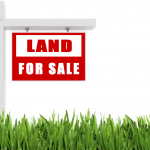 This entry was posted in Land Buying Tips, PotlatchDeltic and tagged #landbuyingchallengesolved, #PotlatchDelticLand, buying hunting land, Buying recreational real estate. Bookmark the permalink.